Innova Electronics Corporation has had its share of success in the scanning tools industry by launching products that are both practical and well-designed to meet the needs of the demanding consumer. This Innova 3140E OBD1 and OBD2 Code Reader is not different, In fact, it’s better. The Innova 3140E scanner is designed for home use. 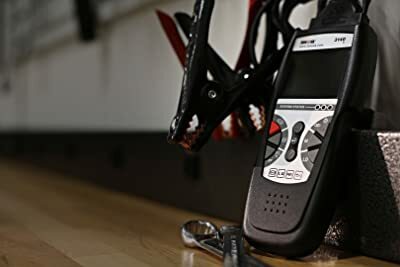 This device is for car owners or beginners who want to learn about engines and diagnosing issues. As the main suggests, this scanner does two critical jobs. First, OBD1 scanning to detect errors and display them in code form which many DIY (Do It Yourself ) users can’t understand. OBD2 scanners go beyond that and give an analysis of the engine glitches. OBD2 scanners can provide real-time diagnostic data and interface with the cars computer system. This scanner is compatible with many care models made in the US, European and Asian from 1996 to the latest model. Innova 3140e is compatible with many care models made in the US, European and Asian. You can connect the scanner to your mobile device by use of a USB cable. Windows, Android, and IOS operated devices are supported. The coded data is displayed on a prominent screen where the user views the results on a 2.8-inch color LCD screen. It’s a multilingual device supporting many languages. This gives wide variety and flexibility to any user. 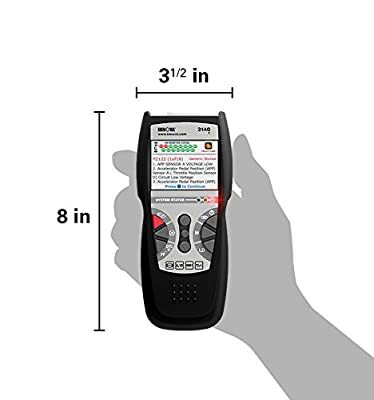 This hand-held scanner has a universal interface that works with all car brands in the market. The 3140E can receive updates from the internet by connecting it to a computer with internet. The scanner is easy and fast to use to read and clear error codes. 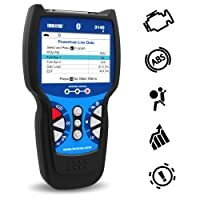 The Innova 3140 displays live vehicles sensor data in text and graph formats and enable you to target specific data areas that show signs of trouble. It supports Android, Windows and iOS operating systems for interpreting data and for updates online. 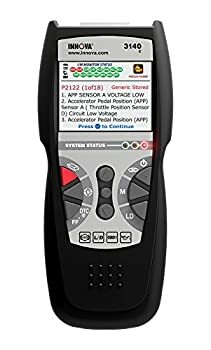 You can connect the scanner to your phone to read the results of fault codes. The Innova 3140 reads freeze frame data that helps you determine the cars speed, temperature, fuel emissions, and the condition fuel tank and systems. The scanner has a vast library of codes to help you find solutions to glitches. The Innova 3140E scanner can read codes and provide feedback in the form of codes. It can record data and playback the data to show the condition of your engine over time. It’s able to retrieve vehicle information and the check engine I/M readiness. The 3140E can stream and record real-time data to be reviewed at a later time by capturing freeze data. 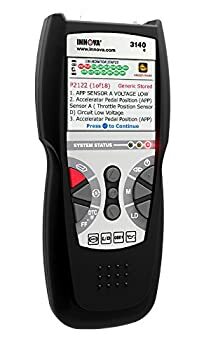 The scanner reads and erases ABS light trouble codes on OBD2 motor vehicles. One feature that is attractive on this device is the emissions reader that will tell you how much emissions your car is putting out there. It’s an SAE approved scanner putting weigh to its credibility as an excellent scanner for your vehicle. The Innova OBDI/ OBD2 scan tool uses a battery to connect you your car’s computer. You can use it without connecting to the engine to power the device. This saves time and brings about efficiency. This scan tool can work on both old and new car models. The OBD1 works on the older models and newer ones. The OBD2 codes are generally found in all cars. Therefore, it can work for manufacturer specific and general codes. Equipped with a massive library of codes, its ability to give suggestions on actions to take to correct issues. The Innova 3140e scanner reads and erases ABS light trouble codes on OBD2 motor vehicles. User-friendly interface with live data streaming. Bottom Line It is suitable for both professional users and DIY consumers It supports more functions ideal for someone who has a garage. This scanner is suitable for car owners or beginners. The Innova 3140E scanner is perfect for home use. 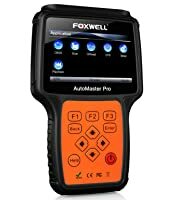 This device is for car owners or beginners who want to learn about engines and diagnosing issues. The scanner will help you catch minor trouble before they graduate and become too vast for you to solve requiring a visit to your mechanic. 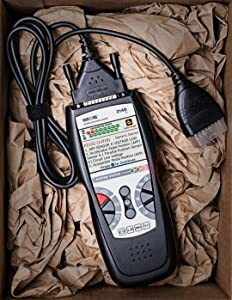 With this scanner, you will save a few bucks by attending to your car early enough by detecting and analyzing issues. It’s a convenient tool to have in your garage. Though expensive, it’s the perfect tool for your needs. The 3140E Innova has all the features a good scanner should have; read and interpret data codes. The fact that it reads emissions, it’s a welcome feature that makes it a worthy investment.